When I moved to the San Giovanni neighborhood (an area of Rome just outside the old city walls), everyone started telling me about Pompi, home of the most famous tiramisù in Rome! So, being a true foodie, I wasted no time in trying it. Pompi is known as il regno del tiramisù, the kingdom of tiramisù. That, it certainly is. When you walk into the original location on via Albalonga, the wall-to-wall refrigerator to the right is jam-packed full of boxed tiramisù in various sizes and flavors, letting you know right away that these guys mean business. Long before you even arrive at the entrance, you’ll most likely pass people on the street or see people sitting in the nearby Piazza Re di Roma who are eating the famous treat straight out of Pompi’s signature brown and red to-go boxes. Both inside and outside the café, patrons enjoy Pompi’s tiramisù and other treats all year round. While the tiramisù from Pompi is definitely very good, I wasn’t ready to stop there. 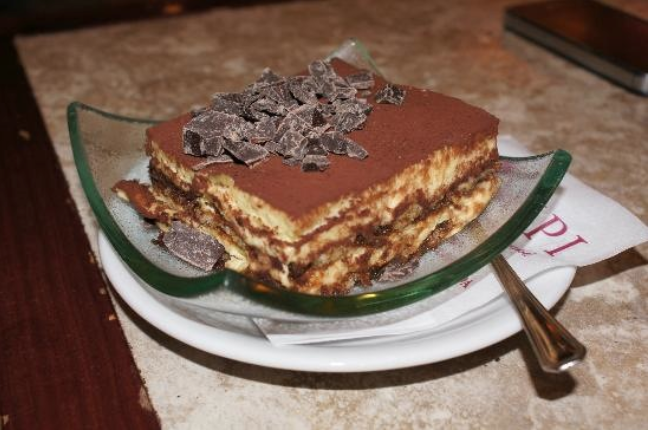 I set off to taste more tiramisù in less famous and less commercial locations. 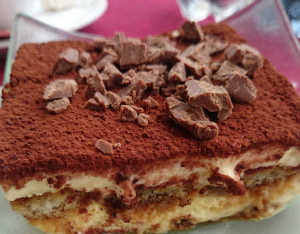 Almost any Italian restaurant will offer tiramisù on their dessert menu, but not all of these are typical to that particular restaurant or homemade. So, in order to avoid a mediocre end to a meal, one suggestion I’d give is to always ask if the tiramisù is “fatto in casa“ (homemade). If the answer is no, I recommend you don’t waste your money and, instead, search around for a nearby pasticceria for a sweet treat! Many searches for the best of the best food in Rome will lead you to the riverside neighborhood of Testaccio. Unsurprisingly, it was in Testaccio that I found two of my favorite tiramisù desserts in Rome. You can find these below, under headings I found to be most appropriate in describing these delicious desserts. This pasticceria on Via Marmorata in Testaccio serves by far the cutest tiramisù I’ve ever seen. It’s about one and a half bites worth of whipped mascarpone adorableness that sits neatly in an edible chocolate teacup, with a smidge of coffee soaked lady finger at the bottom. At only 0.60€ per serving, it’s amazing value and the perfect almost guilt-free pleasure. The tiramisù al bicchiere at Flavio al Velavevodetto is served in a tall glass. It’s creamy, not overly sweet, and the portion size is just perfect. Instead of the traditional cocoa powder, this tiramisù is topped with a puddle of melted chocolate, which, in my opinion, is a nice spin on the tradition! Another added extra is that the dividing layer in the middle has a bit of a crunch to it, tasting more like a cookie than a lady finger. But staying true to tiramisù form, in the bottom of the glass you’ll find the foundation layer of coffee soaked lady fingers with a strong coffee taste. Just scrumptious! While I don’t think Pompi lives up to all the hype of being the absolute best tiramisù in Rome, I definitely suggest trying it when visiting the Eternal City, as it is a Roman institution when it comes to tiramisù. If you’re not a fan of traditional coffee tiramisù, it’s a good place to try alternative flavors like pistachio, hazelnut, chocolate and banana, strawberry, and even pineapple! What’s more, with all the sites to see in the city, their convenient packaging makes it easy for you to eat it on the go. So what do you think at the end of this post? 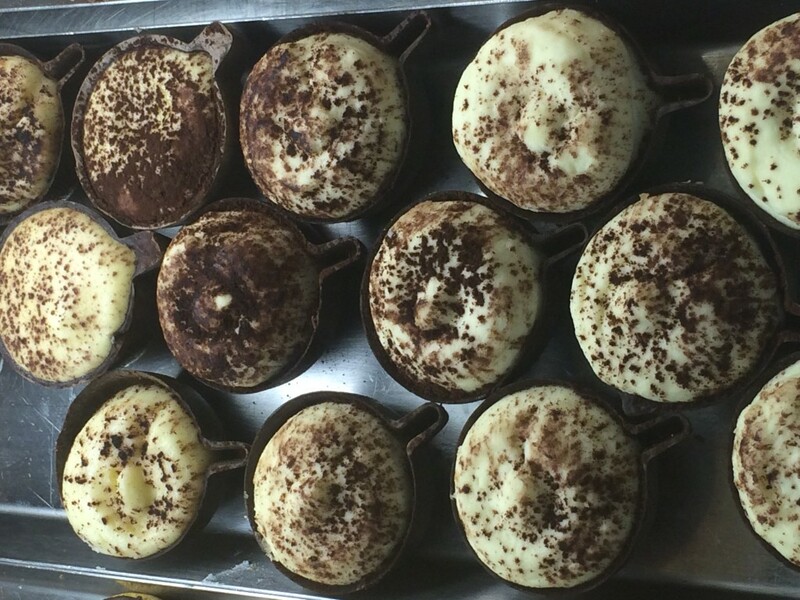 Does Pompi sell the best tiramisù in Rome? Well, you’ll never know till you taste it! If you’re planning on coming to Rome and you want a true foodie experience, then The Roman Foodie would love to take you on a gastronomic tour of the city and Rome’s favorite foodie neighborhoods! 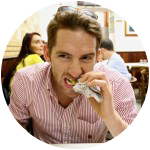 Check out our tours Rome Food Tours. 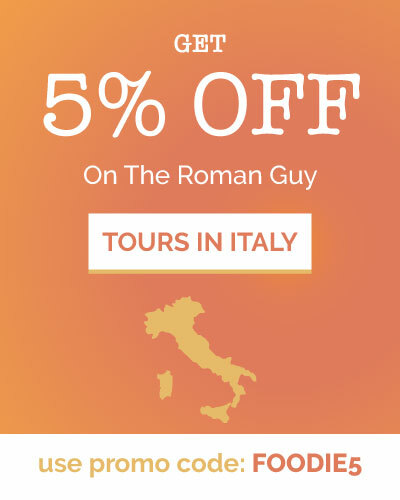 Want to make the most of your Rome vacation? Check out our discounted three tour combo deals!